Commitment to our planet is one of our most important company mission statements. Every year, we utilize over 2 million pounds of recycled rubber in our systems.Vitriturf has dedicated research to discover new recyclable materials to utilize in its systems, trying to prevent what might normally have been sent to a landfill as waste. 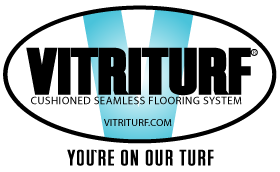 Vitriturf is available in a variety of systems. Besides its standard poured in place system, vitriturf offers 100% recycled systems and 100% organic systems. The Vitriturf Systems are designed to meet stringent criteria required to earn points under 2 out of 6 categories of LEED-NC. Based on this criteria, Vitriturf Systems can assist architects and designers in obtaining 7 points towards Leed Certification.